Erin Shaw Street wants to change the way we talk about drinking. She started a project in January called Tell Better Stories 18 to encourage anyone who posts anything online to be more mindful of the messaging around alcohol. She joined us on the podcast to talk about what she’s been up to and how you can participate. In this video interview with Sarah Roberts of Sarah Talks Food, I share some of my story, why I started Tell Better Stories, and a bit about the project. 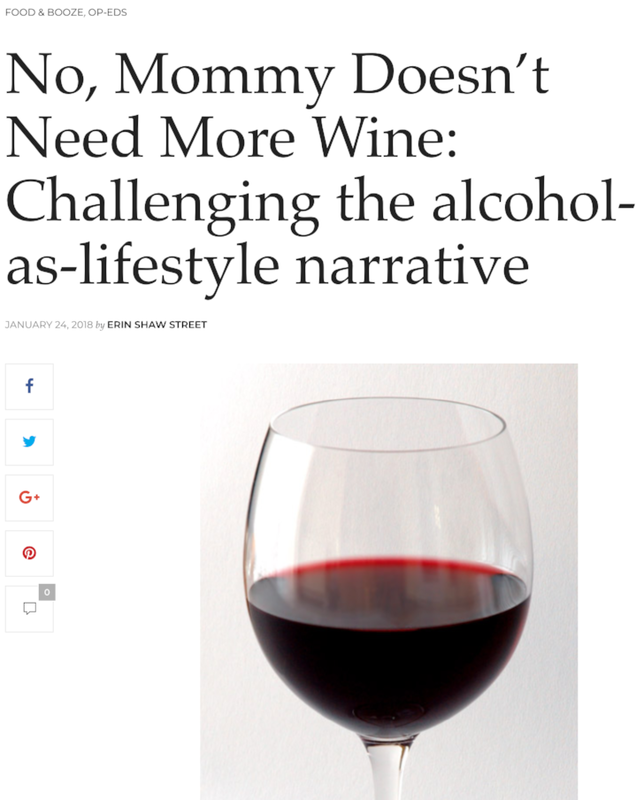 In this piece for Baltimore Beat, I wrote about challenging the alcohol-as-media narrative. Interestingly, it appeared in their liquor issue at the request of their editor, who saw the need for another perspective in the mix.